City officials have agreed to allow food trucks to park at six new locations around the city, in addition to the five spots at the waterfront. 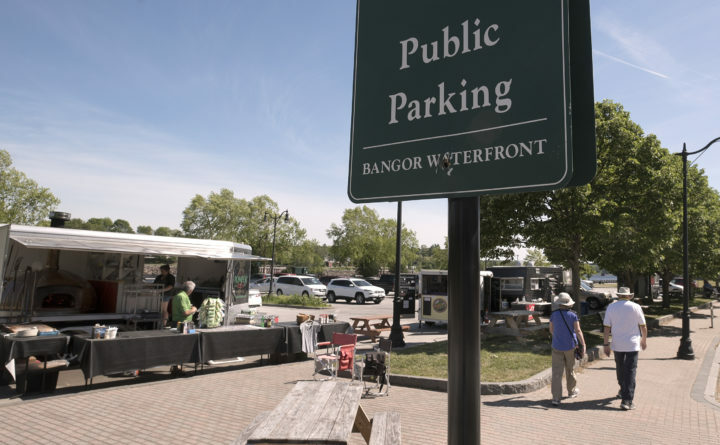 Citing an increase in demand, Bangor will reserve more locations around the city this summer for food truck vendors to occupy. The city currently offers five spots on the waterfront, with vendors selling pizza and Mexican food, ice cream, and grilled cheese and paninis. In the next few weeks, interested food truck vendors will be able to choose from another six places to park across the city: at least one on Maine Avenue near the Air National Guard, another three on Broad Street next to Gomez Park, and two on Water Street next to Pickering Square. City officials are also considering whether to allow a food truck in the middle of Pickering, accompanied by tables and chairs. Because food trucks in the six new locations would be required to pack up and leave each night, the new allowance likely does not require an ordinance change, Willette said. Bangor has allowed food trucks since 2010, when there was one. There were no food trucks in the city in 2011 and 2012, but momentum picked up in 2013. In recent years, more vendors have inquired about spaces as food trucks continue to grow in popularity. Today, food truck vendors along the waterfront pay $1,000 if they want to rent the spot June through August, or $1,500 for the season, which typically runs from late May to early October. Food truck parking spaces are leased on a first-come, first-served basis, Willette said, and vendors who rent space from the city the year prior get the right of first refusal. With the exception of Pickering Square, none of the new food truck locations brush shoulders with other area restaurants. Elisabeth Dean, owner of the Main Street eatery Fork and Spoon, said on Thursday she isn’t crazy about having to compete with a food truck for business, but ultimately appreciates anything that will potentially draw more people downtown.